IMPORTANT NOTE: All statements by students are original and unedited. None of the statements have been edited, added to or altered in any way. Some phrases have been highlighted by the education staff for special emphasis. The CBST Winter Internship has been a great experience for me. The memories of meeting other interns in the group, our one-minute introduction, bowling night and small sessions on networking, changing stereotypes, teamwork, being determined and finding our ways in worst case scenarios are unforgettable. It was a unique experience to work with interns not only from different academic backgrounds, but also from different walks of life with similar goals. This internship introduced me to a new field in research that combines light and biological molecules. 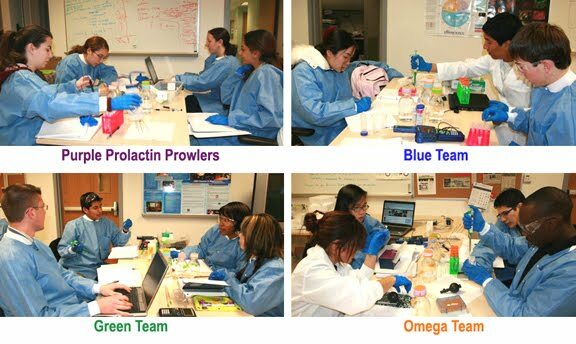 The experience of working in the research lab was invaluable. Great efforts of our mentor- Dr. Corbacho, in balancing our research project with fun made it a wonderful experience. This winter internship has provided me a strong foundation to apply for various summer internships and it was my pleasure to be a part of CBST. Namrata was accepted to participate in the 2008 CBST Summer Internship Program at UC Davis. California - Berkeley with "Cell and Molecular Biology" major. 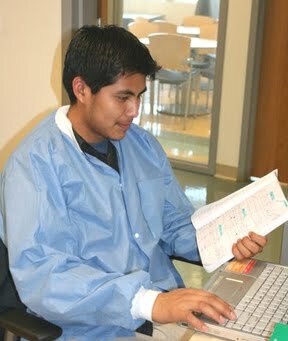 My name is Ricardo Camargo, I am currently attending San Joaquin Delta College and my goal is to become a surgeon. As you know getting into medical school is a real challenge. Experience is not a requirement but it helps a lot. I was trying to get into an internship program but most it was too hard to get into one of them, so I gave up. Until one beautiful day I received an e-mail. 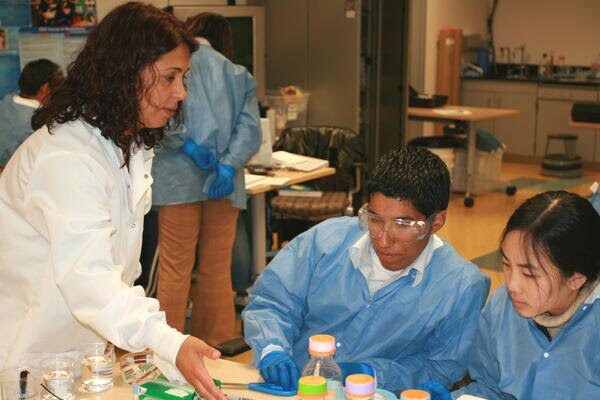 Dr. Corbacho was recruiting community college students to participate in the CBST Winter Internship program. I applied but I never thought I was going to get accepted. Dr. Corbacho was a great inspiration for all of us, specially for me. She made me participate a lot in all the fun activities as well as the lab activities. It was so great to be part of a glorious team and have Dr. Corbacho as our mentor. We learned the value of a team, as well as the value of someone else’s ideas, opinions and experience. 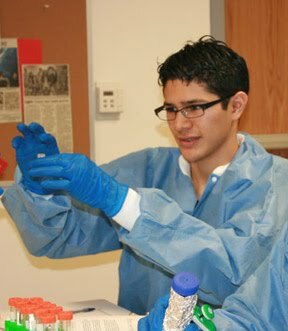 Dr. Corbacho as well as the whole CBST staff, made us realize that lab might be hard and tedious, but it is never boring or useless.Whatever you do in a lab is for the good of yourself as well as for the good of others and that is what Corbacho let us know. Lab might seem to be boring, but it is not, it is an active environment where the word “ignorant” does not exist as I thought. But the most valuable teaching we got from Dr. Corbacho and her staff was “Never Give up” and “Even if you are not a try person, try it once and once again”. Thank you so much CBST staff!!!! The CBST winter internship program has surpassed my expectations in every single way. I am grateful to participate in this program as a volunteer because I have been able to use what I have learned in the past four years in school in order to solve real life problems. From making a solution with a desired pH to isolating a protein from contaminants the CBST internship program has gotten the best of my knowledge. With the techniques I have learned in the lab, I have the competitive edge necessary to participate in different summer research programs. In addition, I have been able to develop a strong bond with my peers. The program’s coordinator has served as a catalyst in my thinking process by motivating me to think of more than one way to solve a given problem. Birds are born with wings but they are not born with the ability to fly. A chick learns how to fly once its mother pushes it out of the nest. For me the nest is my state of mind before coming to the program. Dr. Cobacho is the driving force that has pushed me to think “outside the box.” Now I can fly. CBST winter internship has been such an amazing experience for me. This is the first internship since I started college. I am now in the process of transferring to 4-year University and this opportunity has opened my eyes so much. 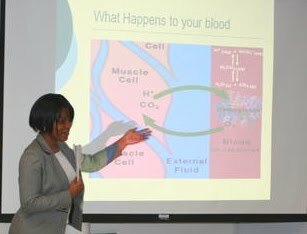 In two weeks, I had a chance to learn more about chemistry and biology. What impressed me the most was the concept of biophotonics, a young scientific field but yet has a lot of potential. I realized that there were many things about science that we did not know and it inspired me to explore more and learn more. 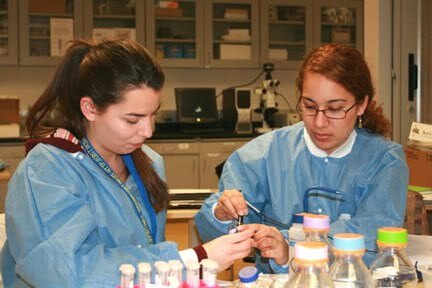 Furthermore, throughout our lab time, our group occasionally had discussions with our mentor Ana about real-life lab work and conducting research which was quite helpful for me since I would be working in such environment. Above all, everyone in the internship group was welcoming, friendly and supportive. I never thought of forming such good friendships in these two weeks. Thanks Anna, Michelle, and Lisa and CBST staff for giving me this invaluable opportunity. I hope I will have another chance to do it in the summer and next winter. My winter internship experience at the CBST solidified for me that research is a path that I want to take. The whole experience was extremely fun while being beneficial on so many different levels. We not only learned how to problem solve and think like an experimenter, but we learned about what a real lab experience would be like, working with colleagues from all different walks of life. Dr. Corbacho did an excellent job of creating a friendly and open atmosphere that was conducive to discussions about stereotyping and other obstacles that we could come across. 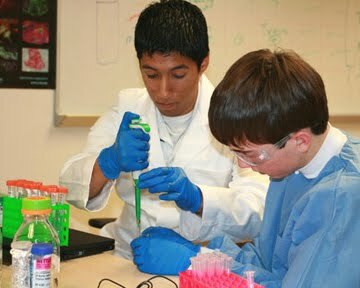 The lab activities were an excellent opportunity to be able to apply laboratory skills through having to research and problem solve rather than simply following a list of procedures.Overall, it was just a great experience to be in the lab working with other interns that have similar goals and interests. I have a much better idea of what the research world is like and I am looking forward to pursuing further experiences in it. 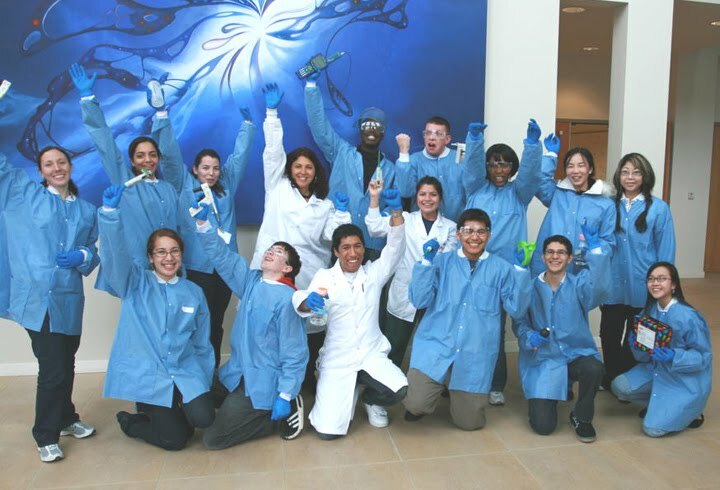 After completing the internship at the Center for Biophotonics, I would recommend it to any community college student thinking about applying for a winter internship. 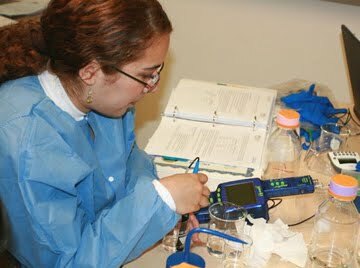 From the very start of the internship, we were introduced to the different types of equipment that use biophotonics. For the two week period, we worked on one experiment that took much careful thought and ideas to complete. I enjoyed the internship because it challenged me to do things that I would not normally participate in. This internship has helped me in not fearing to speak in front of people. It also helped me develop better lab techniques to practice in chemistry and biology. 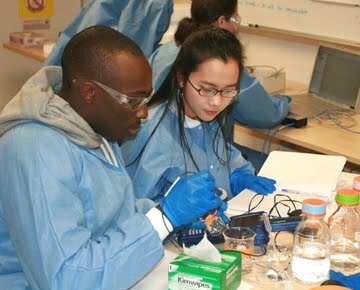 I recommend the Winter Biophotonics Internship to those who have never participated in an internship before because it helps you prepare in applying for other internships during the summer. When I was accepted into the internship, I was not actually that thrilled. I had four weeks off for Christmas vacation, and working for half of that time takes a lot of motivation. However, I came through and eventually saw the internship as a huge blessing to learn about chemistry, medicine and research. When I got to CBST (the facility where we worked) it was not to my surprise that I was the youngest, for I usually am the youngest at everything I do, especially college relatedevents. At first I was intimidated by everyone’s extensive knowledge of chemistry, and my lack of it, although I ended up playing a very important role in my group and my skills were not neglected. As indicated by the “learning styles” inventory we took on the second day, my primary personality characteristic is a “To Try”, so my job was to keep us going, always doing something and pushing us forward, not letting doubts hold us back. All the other 14 interns seemed to put their best foot forward also, making my group experience a very rich one. People were kind and grateful. At the end of the internship I was nothing but extremely happy I had gone. I had a great experience and learned lots that will help me decide what my specific major will be. Although I will probably never go into full-time research or even medicine because of my passion for engineering, I could not have gained more from this excellent winter internship program. Thank you to our fearless and fun leader, Dr. Corbacho, and everyone else who made this possible! 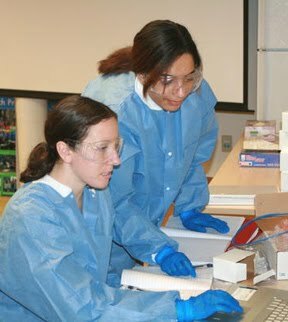 The CBST winter internship program gave me first hand experience to new kinds of research and exposed me to various research studies I could pursue in graduate school. 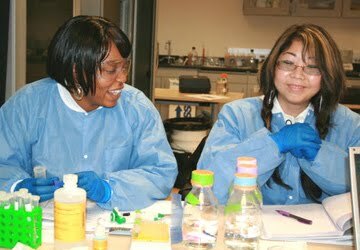 As a community college student I find it is hard to find opportunities through internships to do research and this program opened the doors for all of us to get our foot in the door and gain some experience. Through this program I learned not only what Biophotonics research consisted of but also how to work with other peers just like me. Dr. Corbacho did a great job of giving all of us some experience to work as scientists and learn something through the process. I will never forget this experience or the friends I made for it gave me more motivation to pursue graduate school. 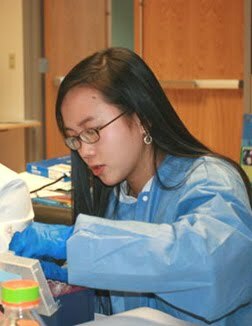 I’ve wanted to work in a professional lab setting for a long time, so I was ecstatic when I was accepted into the 2008 CBST winter internship. I came into this internship with high expectations. I hoped to get to work on real scientific problems, cooperate with experienced researchers, improve my lab skills, and get to know my fellow interns. All of my wishes were fulfilled beyond my expectations. 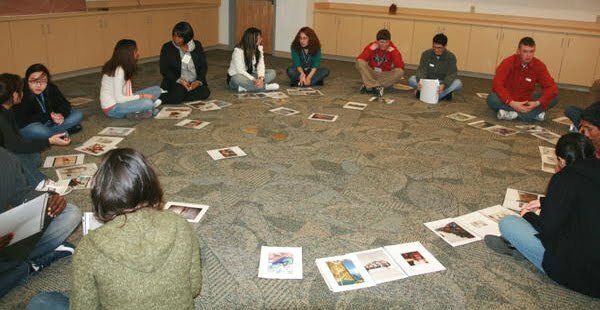 Since this was a winter condensed program, the first two days were spent in activities designed to get to know fellow interns and the program. 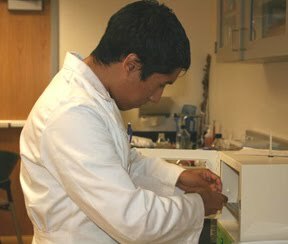 The rest of the internship was devoted to a scientific sleuth project, called saving “TOM”, where we had to rack our brains to isolate a protein called 16 K prolactin. We were divided into four groups, and ultimately, all the groups were successful in saving “TOM”. All in all, I had a wonderful time during this internship. I learned a lot, both practical scientific knowledge and experimental skills. I also had the opportunity to get to know my fellow interns, who were all incredibly smart and friendly. Last, but not least, I had a great mentor in Dr. Ana Corbacho, who was just so helpful, supportive, and encouraging. I highly recommend this program for anyone interested in an introductory opportunity into experimental research. It was an honor to be given the opportunity of participating in the first CBST winter internship at the UC Davis Medical Center. It was great to be able to work with fellow students that share similar career interests and that came from different backgrounds with a large variety of life experiences behind them. The chronological planning of the internship was, in my opinion, very successful- from preparing us for research (theoretically/ physically/psychologically) to the point where we actually got to do research. We were able to verify that, in research (just like in life), nothing is linear- the paths to achieving the most correct answer are varied and have several “bumps” along the way. Thanks to Dr. Corbacho, we were able to overcome these “bumps” with teams where the diversity of skills, thoughts, knowledge, and background played a very important role. In the end, we didn’t just create a team; we also created a group of friends- to the point where it was actually difficult to say goodbye. Hopefully, this internship was an “appetizer” for future summer internships in which I hope to participate. The Winter Internship Program was the best thing that could have ever happened to me. When I read that I had been accepted into the program, I ran around my whole entire house because I didn’t believe that they would except someone who had only completed general chemistry. 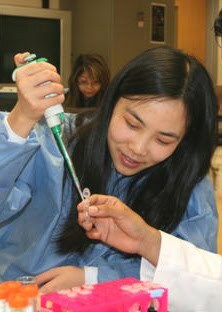 I am an undergraduate student at Cosumnes River College, with goals of becoming a Nurse Anesthetist. The two weeks that I spent with my team were incredible. In the very beginning I felt shy and scared but with the leadership of Ana Corbacho and her team, I soon began to feel at home. They instructed us on how the lab operates, to beware of our surroundings and perceptions. How we perceive people just by the way they look. This program has opened my eyes to possibilities that I never knew about. This Winter Internship Program had many different people from all over California, but we came together like a family and accomplished our goals. The Internship was fun, exiting, and full of learning. I would recommend this program to any one, even if they don’t have a love for research. It was awesome to be apart of CBST-program. Thank you. My name is Ngabo Nzigira I currently attend Cosumnes River College in Elk Grove, CA and I am a Nutritional science major. 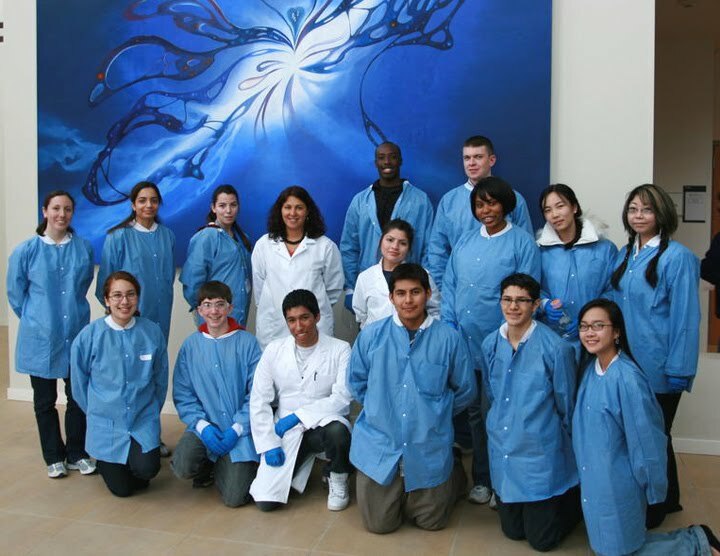 I was recently a part of the first ever community college winter internship in biophotonics at the Center for Biophotonics in Sacramento, CA. I was very excited to be a part of this program, being that I am at a junior college it is very rare to find programs specifically directed towards students in community college. 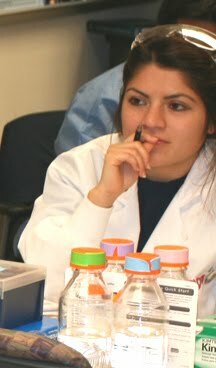 I was looking forward to an experience in a laboratory environment outside the classroom so this internship opportunity provided me with invaluable knowledge that I may never have received in other circumstances. I was very pleased by the way the program was run my expectations were not only met by the schedule given to us but surpassed. The labs were similar to those science classes as far as set up but there was a whole new element that I have never experienced: freedom. When I say the term freedom I am not necessarily saying that we sat around playing games the whole time but more in the procedure, this was the first time I experienced a scenario where we, the interns were responsible for coming up with a procedure to test our hypothesis, and not having it provided for us like in laboratory manuals where you tend to go into the motions without completely comprehending the experiment. This program was enlightening and I want to thank all the awesome coordinators and all the other interns for providing a wonderful experience for me as a student and person. Provided as a "stepping stone" to a summer research internship, the CBST Winter Community College internship was an outstanding experience, even in its' first year. The opportunity to work with several of my peers that shared many common interests and goals served as a superb platform for ensuring teamwork and cooperative learning. We had students bringing their biology background, others with their organic chemistry background, and others fresh from general chemistry. All these different viewpoints were essential to finding solutions to the problems we faced during our experiments. An experience you don't get too often is one where you have to draw from everything you have learned in your life so far: this internship was one of those experiences. To anyone thinking of going into a science based profession, without a doubt, this is a program you want to be a part of. When I first started the CBST Winter Internship Program I was excited, but also a little nervous. This was my first time participating in a program like this one, so I had no idea what to expect. I was intimidated by how smart all of the other students were. 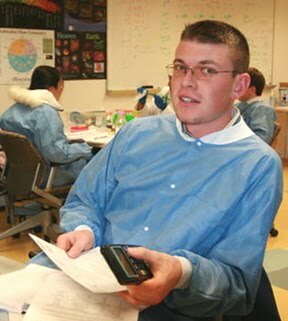 Many of the students there were pre-med and had begun their MCAT preparations and had all these chemical equations and pituitary gland hormones memorized, and at first I felt like I was not on the same level as they were. However, once we were broken up into groups and had the opportunity to start our research and experiments, I realized that everyone in our group had different strengths and weaknesses and our personalities and learning styles complimented each other. This program was a great experience for me, and I’m now more confident in my ability to critically think and formulate ideas. I enjoyed the independence we were given in determining what samples we were working with and how to isolate our protein, but also valued the advice that Dr. Corbacho and the CBST staff would give us when we got stuck. I feel like this program helped me realize my abilities as a student, as well as some of the possibilities that are still out there waiting for me. The CBST Winter Internship Program has introduced me to several bright and interesting people and has encouraged me to apply to other internships - I just hope that they will be as fulfilling as this one. 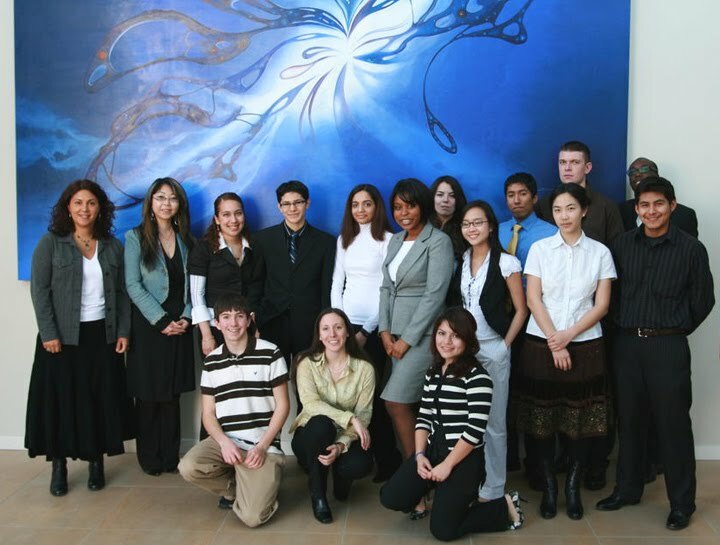 Internship Program at UC Davis. This short-term winter internship was designed to give everyone an introduction to the scientific research program. Different from the summer internship which apparently has a much longer period of time; this winter internship has focused more on cooperation and group work rather than individual research. This was my first time to approach to a scientific research program, but it would not be the last one. 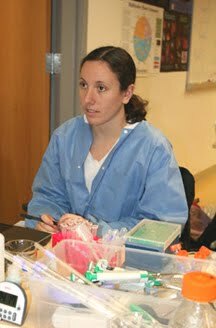 There were totally no competition between each intern; especially our mentor, Dr. Corbacho, she was always there to cheer up and stimulate us. Even though I still need to work on my English; I am too old to be competitive; those excuses cannot become the barrier to stop me from pursuing my goals. People like Dr. Corbacho and CBST facilities will help us to step further to our goals. I am here; I want to learn; I think I can do it; and probably I will get what I want finally. Therefore, I won’t stop trying. If you think that you are not able to be qualified, I will tell you to apply for this program. After you really participate, you will change your points-of-view. Really appreciate the opportunity. I have learned more than the research itself. Great program leaded by great team!